Here’s another cool USB gadget, the Beetle Car USB 4-port Hub, no it’s not shaped like a VW Beetle, but anyway it still looks like a fun gadget. 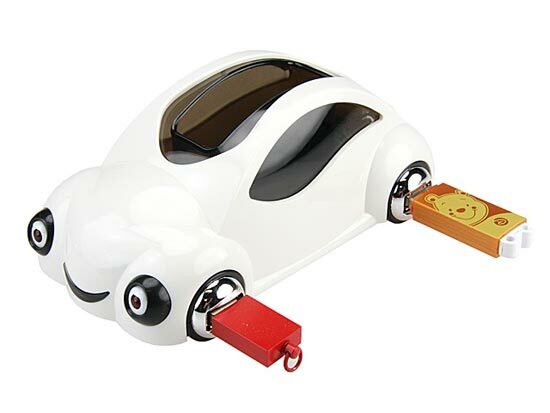 The Beetle Car 4-port USB hub is shaped like a beetle, and comes with 4 ports to plug your USB gadget into. The USB ports are in the wheels, and it measures 148 x 82 x 60mm and weighs 95g, it even has LED headlights that light up when you plug a USB gadget into the hub. 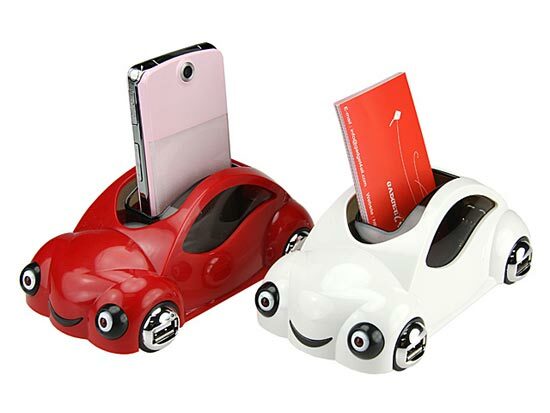 The Beetle Car USB 4-port Hub comes in a choice of red or white and is available for $12.50 from Gadget4all.